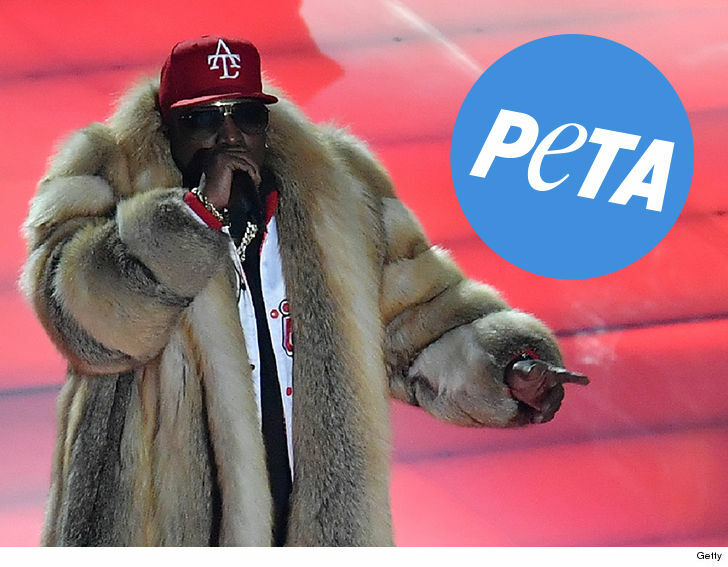 Big Boi‘s Super Bowl halftime performance is drawing penalty flags — not for the music (see Maroon 5) — but for his fur coat, which PETA wants to take off his back and donate to the homeless. We’ve learned PETA fired off a stern letter Monday to Big Boi, even addressing him by his real name — Antwan — like a disappointed parent. In the letter, the animal rights group tries to convince the Outkast rapper to retire all of his furs and switch to faux. PETA says it knows exactly what to do with Big Boi’s luxury fur — which it believes to be fox — offering to distribute it to homeless shelters in America or Syrian refugees. Taking it a step further, PETA says it’s sending him a “gorgeous” faux fur for him to flaunt. PETA tells us a coat the size of Big Boi’s costs an estimated 25 red foxes their lives, and points out the animals are electrocuted or have their necks broken … purely for fashion. We’ve reached out to Big to confirm his coat was genuine fur, but no word back. PETA says it hasn’t gotten a response from him yet either.